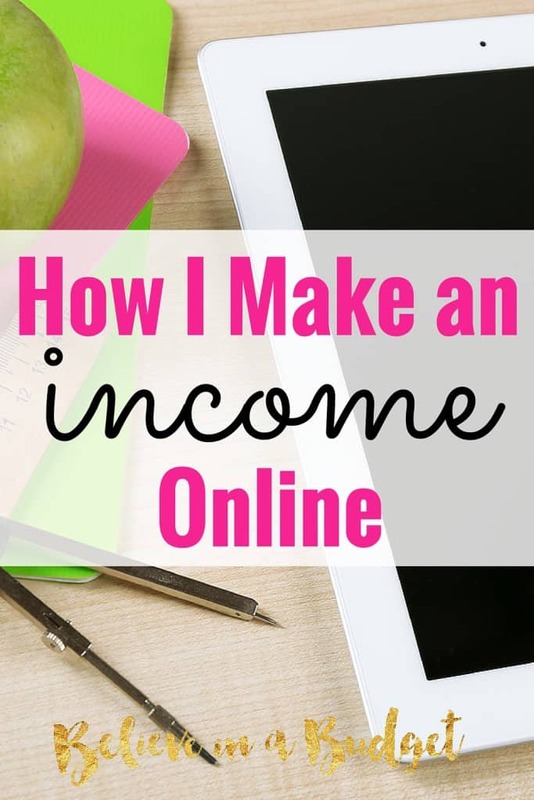 This is my 11th online income report to share! This report only includes income I received from the month of January. If the money isn’t in my bank account, I don’t put it in this report. This means I don’t include any money that is pending. This is the best way for me to track how much money I am making on a monthly basis. January was my third month freelancing full time. I quit my job in October and have been working for myself the past few months. To recap, I started this blog at the end of 2014. I didn’t get serious about my blog until January of 2015 and made the smart decision to stop treating this blog like a hobby and turn it into a business. If you are thinking about starting a blog, this tutorial will help you start a blog today. You’ll also get a FREE domain name for a year! I was able to quit my job and blog full time, all within my first year of blogging. I am really glad I took a chance and started a blog! I invested around $140 to start my blog using Bluehost, and I made $13,000 in 6 months of blogging. That’s the best return of investment ever! This amount is the grand total and before I deduct taxes. Right now I am putting away 30% of each paycheck I receive. I had a little over 120,000 page views in January. This was down from January, but still more than double from my page views in November. These payments are from income earned in December. Payments are paid out the following month. Let's break it down. Here are my daily stats from Google Adsense. My average income was $7.41 per day. Here is a snapshot of my Media.net income. My income was an average of $13.99 per day. This is almost double what I was making from Google Adsense. Finally, I also have two ads on my website from Numus Digital. This is a much smaller advertiser that I decided to try a couple of months ago. This advertiser pays 30 days out after hitting the $25 threshold. This is a great alternative for smaller bloggers who dread the thought of waiting to hit the $100 threshold with larger advertisers. 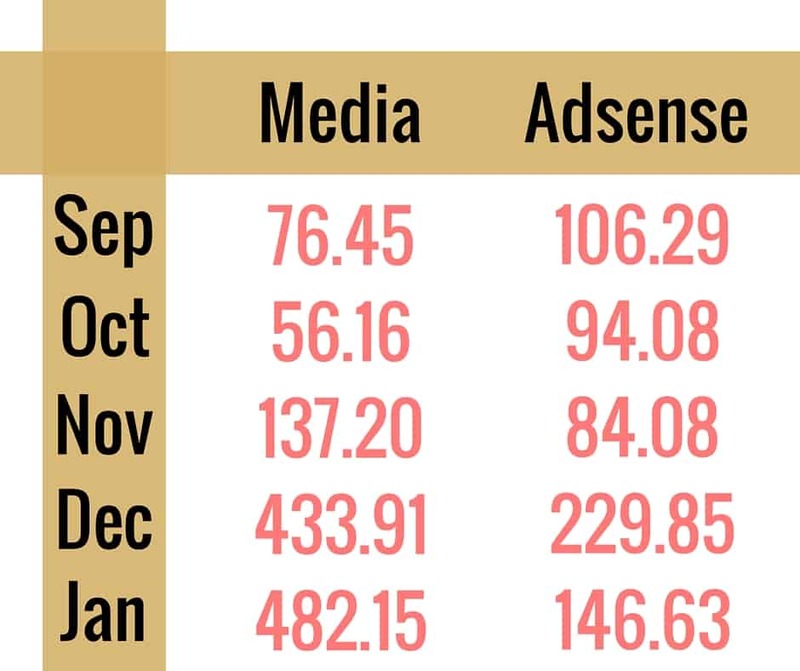 I've written about my ad income in the past few online income reports – mostly about how Adsense stopped performing that well for me, and Media has really come around. One major thing I did was delete an ad that's above the fold and at the top of my sidebar. I replaced the ad with my own photo of my eGuide. This was risky as this is valuable real estate, but I can make more money promoting my own product than having an ad. I also think it looks prettier. 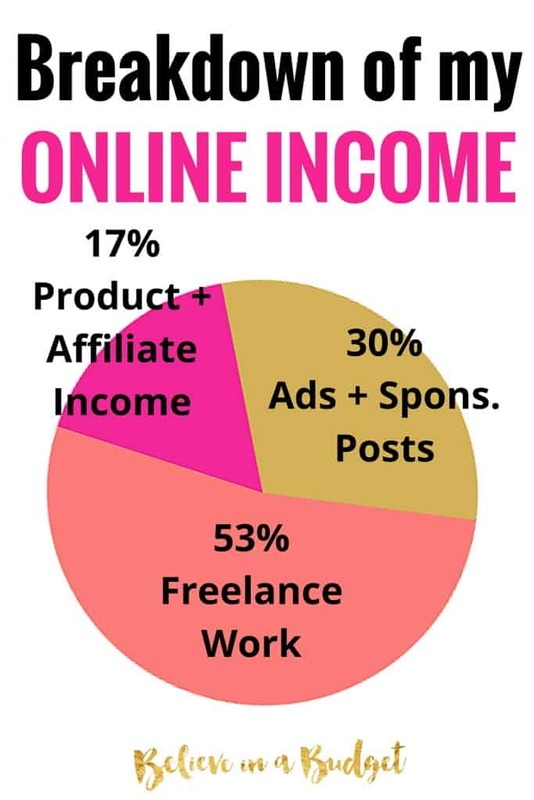 My affiliate income came from Building a Framework, Restored 316 Designs and StudioPress. This means my tutorial on how to start a blog is helping people! Finally, I earned affiliate income from Tailwind. This is the scheduling program I use for Pinterest for this blog and all my clients when managing their accounts. I spend about an hour a week pinning my content in advance and it has paid off in terms of page views! If you want to try Tailwind, here's a free month! I provide Pinterest management and image services to clients. This niche is keeping me busy. It's hard to complain when I get to spend part of my work day on Pinterest or creating images for blogs and businesses. Ugh, I didn't do any niche consulting in January. This niche consulting is related to my career niche outside of blogging and I like having the separation between Pinterest management and my career niche. Generally I take on a few clients, but with the holidays and taking some time off the first week, I let some opportunities pass me by. Clearly this impacted my income level this month. At the end of January, I launched my first product about side hustling. I'm really excited about this! Having an email list has paid off as most of my sales came directly from my newsletters. I set up a specific email sign up for readers who were interested in the guide. They received a special promo code in their newsletters and this worked really well. This includes about two weeks of sales. I'm also really excited because this product is always available, so I have a chance to earn income on this forever. One my goals this year is to be able to freelance less and earn more income by being diverse. I would love to earn more money with ads and sponsored posts without going overboard. Right now I am comfortable partnering with one, maybe two brands a month. I've been turning down a lot of offers lately, because nothing seems like the right fit. Ironically, last year my goal was to bring in more income through sponsored posts. This seemed like such an easy way to make money. Now that I have opportunities to write sponsored posts, I'm finding that I really don't want to put anything on my blog unless I 100% love it. I would also love to earn more income through my own products and affiliate income and this is something I need to work on better. I really admire people who can crank out the passive income, so I plan on exploring this more in the future. My expenses were about 7% of my budget. I have no idea if this is good or not. I'm still a DIY blogger and freelancer, so I'm pretty budget conscious in general with my expenses. One of my most recent expenses has been paying for my email list. Now that I have over 2,000 subscribers, it was time to pay up. Previously I used MailChimp as it was free, but ultimately decided to use ConvertKit for my newsletters, sign up forms and email drips. I'm pretty impressed with ConvertKit so far. Their response team is fast when I have questions and I've gotten some late night, weekend replies so I appreciate them looking out for their customers. *Please note, I don't include Tailwind or Bluehost in these expenses as I have prepaid for the year. Wooh! Was that information overload?! What expenses do you have as a freelancer? What percentage of your income do you spend on business expenses? Do you have any tips to save money? Also, you’re helping me and so many others! Absolutely love it! Wow I am so happy that you are crushing it with your book too! Congrats on that! I am literally in the middle of trying to boost my pinterest traffic and so far it is definitely working but not crazy high numbers like what you get. Quick question, when you first start using tailwind/BB to pin your stuff, did the traffic come immediately or did it take some time to gain traction? Thanks! My traffic took a few months – when I started with Tailwind I was hovering around 40K pv’s and I got it to 160K pv’s in about 4-5 months (I think – although my traffic last month and this month will most likely be around 120-130K pv’s). I didn’t have much success with BB to be honest, and Tailwind got me much better results. Could you just tell me, what should I do, to get more traffic… I want to know your secret! Hope I ain’t asking for too much! Girl! Look at you just killing it! I’m so happy for you and I love seeing your book success. YAY!!! Wow! So amazing!!! 🙂 I just launched my blog today and seeing this post is so encouraging ! Great JOB!!!! Congrat Latasha! Let me know if you need help! Congrats on an awesome January Kristin! I love how successful your product launch was, I seriously think products are where it’s at! I don’t currently have any of my own (just that seasonal course I launch during the holiday season last year), but would love to launch something again this year. I also think you were smart to remove the ad on your sidebar above the fold in exchange for promoting your own product! 🙂 Can’t wait to see how amazing the rest of your 2016 is!! You’re so sweet 🙂 I’m liking the product thing too – it’s so nice to be able to provide something useful to readers and something that makes me feel like I can earn money from! Congratulations, Kristin!!! I was looking forward to this report, and you rocked it!! That’s awesome you’re earning so much with ads! I don’t even notice your ads on your site haha! I should try using more Media ads; Google Adsense has my prime spots but I don’t make much in that department (granted, my traffic is also lower). As far as my expenses, I use Tailwind and PicMonkey and that’s pretty much it. I do sometimes play around with promoted pins and boosted FB posts, but I never spend much and therefore, never see huge results haha. Since my blog is still my “side” income, I don’t really want to be spending a ton of money on it at this point. Thanks again for sharing!! Hope you are doing well!! Congrats on the income. My traffic continues to be slow so maybe utilizing your Pinterst expertise is what is needed to continue to grow my GDTH. Thanks Shirria 😉 Email me if you have Q’s!! Congrats on all those numbers! I hope I can get to the point where I’m making $300-400 a month from AdSense and Media.net! Then again, your Pinterest help definitely seems to be pushing my numbers up. So I guess I’ll get there eventually. Or close enough to it to be happy. I’m definitely picky about sponsored posts, too. It needs to be a product I like a lot and think my readers will actually get a benefit from. The biggest obstacle for me is how many people want to send me content. They won’t let me write it myself. It’s absurd, really, since it’s far more convincing come from me! So there have been a lot of potential opportunities when I didn’t even get the chance to see whether it was a product I’d approve anyway. But them’s the breaks. I wouldn’t want to do too many pieces anyway, but it’d be nice to have the option! I’m uber picky about spons/ content- I flat out refuse to do it unless I’m writing the post and it makes sense, so I guess I call this underwritten posts? It’s weird how I thought I wanted this so much and now I’m so so picky.